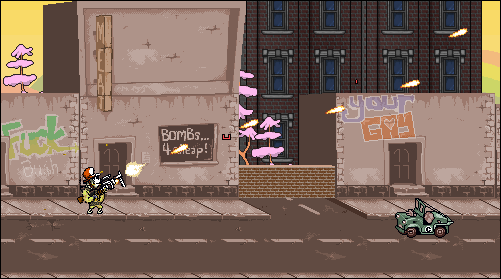 Serious Sam-I-Am is a scrolling action game in the style of Metal Slug, developed by The Podunkian for a recent competition. Use the W, A, S and D keys for movement. Tap the space key to jump. Press the left or right mouse button to shoot and snipe. Don't miss the intro as the included level is only a few screens long.